Loved this....and absolutely understood it. getting a flight upgrade is one of my big dreams in life! the closest I've come to luxurious air travel was when the other seat in my row ended up empty on a flight to London. being able to stretch out while attempting to sleep was nice. The amazingness of being upgraded can never be overstated. All was good in the end. Things will settle themselves out soon. Mmmmm...that sounds so nice! I flew business class once. It was utterly worth it. I think, if I could afford to, I would always fly business rather than economy from now on. So lucky you got upgraded. One time a guy asked David if he would want to have his first class seat because he wanted to sit with his wife in economy. How lucky was that? I am really not a fan of flying at all. Ha, it's usually my hubby getting upgraded, leaving me and the kids behind in economy... Well, except that one time, on a flight to the Middle East - I completely understand your leg room happiness. Glad to have you back in the US, don't forget it! Nothing better than an upgrade. It's so much more enjoyable when you know you haven't had to pay for the luxury! I can see how it would take the edge of your sadness just a little. I've never been upgraded - so jealous! 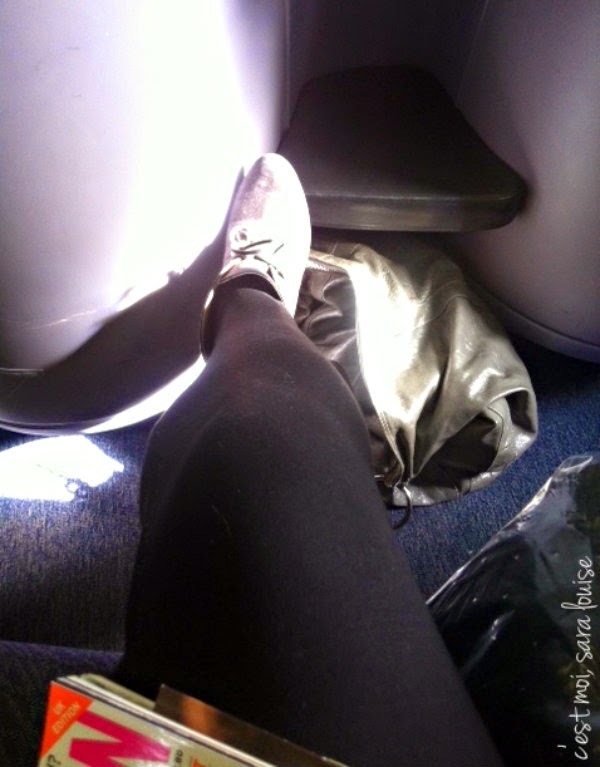 Traveling with my parents got me used to (and way too spoiled by) first and business class, so now that I'm buying my own flights, I miss leg room tremendously! So jealous of wine + make your own sundae-ing - though you deserve it, girl! Ha the ending of your miracle made me laugh. But seriously, how lucky to be upgraded!! I've never had that happen to me before. I have had glorious sleeps in hotels though and yup it feels so good when that happens. I hope your transition back to the States is going well! Business Class is the best thing ever invented. I wanted to marry it and stay there forever, the one time I flew it! !